Andrew Mueller is a Senior Physiotherapist at Wyndham Rehabilitation, with experience in a broad range of clinical conditions and injuries. He works in a multidisciplinary rehabilitation environment, and is exposed to clients with complex health needs and well as those with less complicated treatment plans. 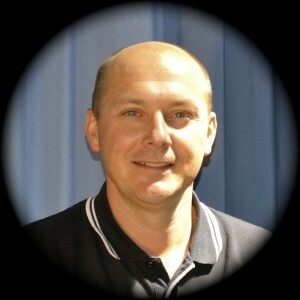 Andrew has worked with us for over 10 years, and is also a Senior Physiotherapist at the Western Hospital. He is currently undertaking Post Graduate studies. Andrew is an authorised Occupational Physiotherapist for both TAC and WorkSafe clients – working closely with the agencies to maximise the best rehabilitation and injury management outcomes for his clients. Andrew has extensive experience in Sports Physiotherapy, and is highly experienced in the assessment, diagnosis and management of sporting injuries. He applies clinical predictors, as well as observation and experience, to support the treatment, rehabilitation and prevention of many common injuries, eg back and knee injuries, hamstring strains, ankle injuries and focus on strength and preventative activities – according to the sporting situation. He works with both club level and elite athletes, eg – at the moment – principal physiotherapist to State Netball players and Junior Football players. This involves treatment during training and on field activities, as well as in a clinical setting. Andrew is also experienced in those patients with cervicogenic headache and vertigo / BPPV balance disorders. He also uses Dry Needling as an alternative form of physiotherapy treatment and pain management.